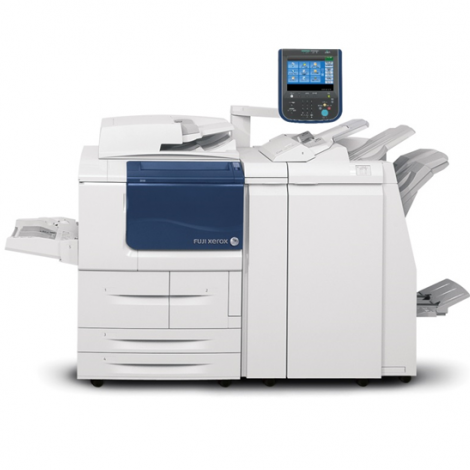 Designed for fast-paced environments of all types—from commercial print shops and pay-for-print retail outlets to law offices and school districts—the D95/D110/D125 Copier/Printer excels anywhere speed, image quality and ease-of-use play key roles in improving efficiency and reducing costs. The Xerox D95/D110/D125 Series Copier/Printer is a monochrome light production printer with industry-leading speeds of up to 125 pages per minute. This device offers production print, copy, scan, and advanced finishing capabilities that allow you to produce innovative, diverse, and professional output. Use it to expand your offerings to your customers, build your customer base and boost your revenues. With a minimal learning curve, the D95/D110/ D125 Copier/Printer quickly begins delivering an exceptional return on your investment.